Little’s is, above all, a human story about a man who fought for justice and fair treatment for workers. 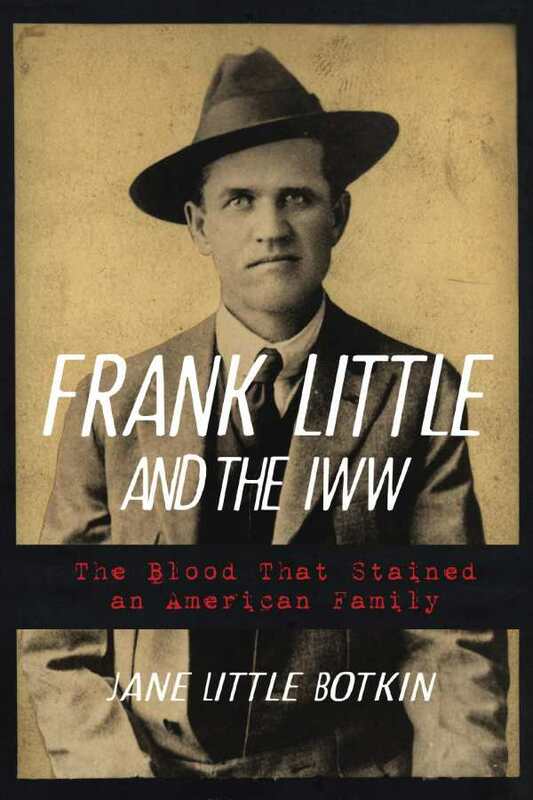 Both a work of history and biography, Jane Little Botkin’s Frank Little and the IWW views the early days of the US labor movement through the lens of the author’s ancestor’s life. Botkin pumps life into the era between 1890 and 1920 in her detailed examination of Frank Little’s life and work as a labor rights activist. When he was ten years old, Franklin Henry Little traveled with his family from Illinois to Oklahoma during the first Oklahoma land run. As an adult miner and labor activist, Little’s passion for fair labor practices led him to California, where he worked for various union organizations, most notably the Industrial Workers of the World (IWW). His fiery rhetoric and unbending criticism of the capitalist system put him in the crosshairs of company big shots and law enforcement. Because local governments didn’t want Little and his IWW colleagues speaking in public about workers’ rights and fair wages, Little also was a free-speech activist. The 1909 Missoula, Montana Free Speech Fight and the 1910-11 Fresno, California Free Speech Fight were two early indicators that Frank Little’s activism for labor rights had been effective. The two things at which Frank Little excelled—labor rights activism and making speeches—also led to his downfall. In 1917, he was kidnapped and lynched; the murder remains unsolved. Still, his name lived on among labor organizers, though his descendants kept his life, work, and death a secret for nearly a hundred years. Frank Little and the IWW is copiously sourced, with Little’s history thoroughly documented. Botkin’s book is a fully fleshed-out visit to the past, a thorough look at how workers—particularly miners—in the United States were treated before labor reform. Jane Little Botkin’s account is, above all else, a human story, a recounting of the life of a man who fought for justice and fair treatment for workers, and paid the ultimate price for that fight.